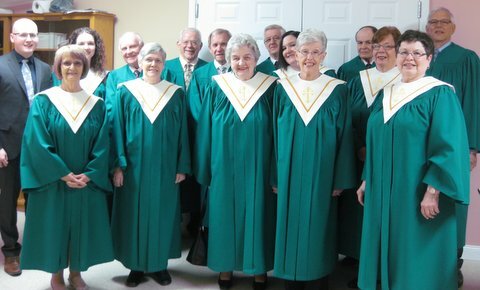 New Maryland United Church is blessed to have such a large and dedicated choir, enhancing our worship services each Sunday with musical leadership and beautiful anthems. 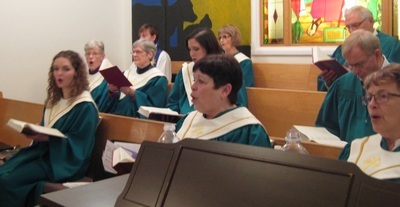 Our choir meets for practice before the worship service each Sunday morning from 9:30 am to 10:30 am under the direction of Carolyn Hatt and musical director Allan Morgan. 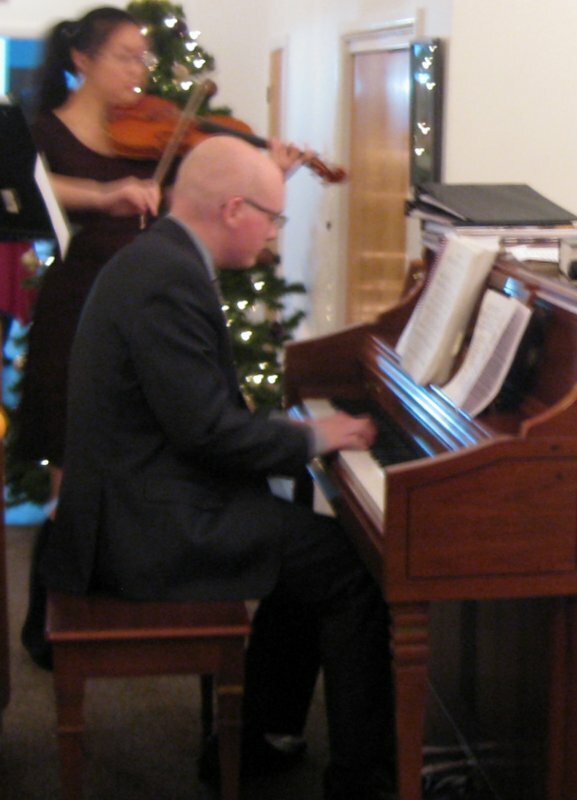 We consider the Carolyn-Allan duo a tremendous gift to our congregation. Additional rehearsals are also scheduled during busy times throughout the year. 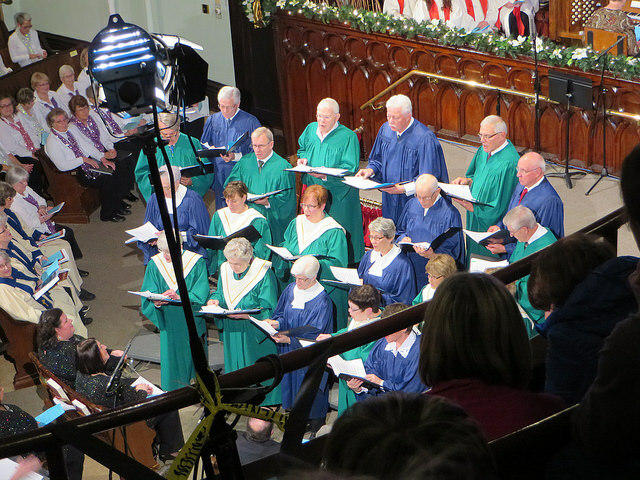 Also our choir members join with the Gagetown United Church Choir for the annual Advent Carol Festival at St. Paul's United Church in Fredericton. 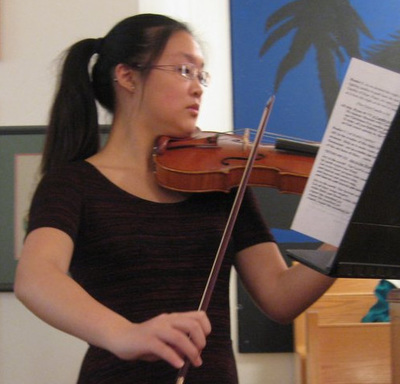 We are very fortunate to have Vivian Ni as supply pianist. She has been able to provide musical accompaniment as needed. 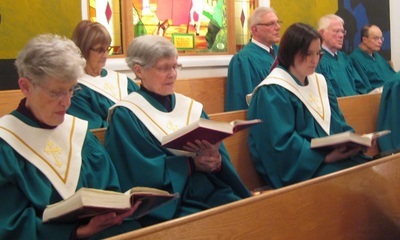 A warm invitation is extended to any who wish to join our choir. ​The choir leads the congregation in music during the Christmas Eve Service 2015. 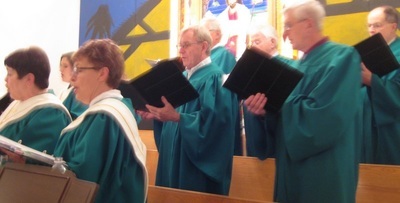 We at New Maryland United so appreciate the musical talents of Carolyn Hatt and Allan Morgan. We are also very blessed to have Vivian Ni join us on this special evening. Throughout the year Vivian also helps us out when Allan is away. 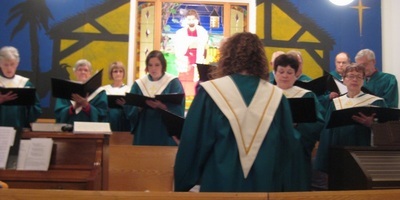 New Maryland United Church Choir takes part in St. Paul's Carolfest.